January 3, 2013 – Media! Tech! Parenting! 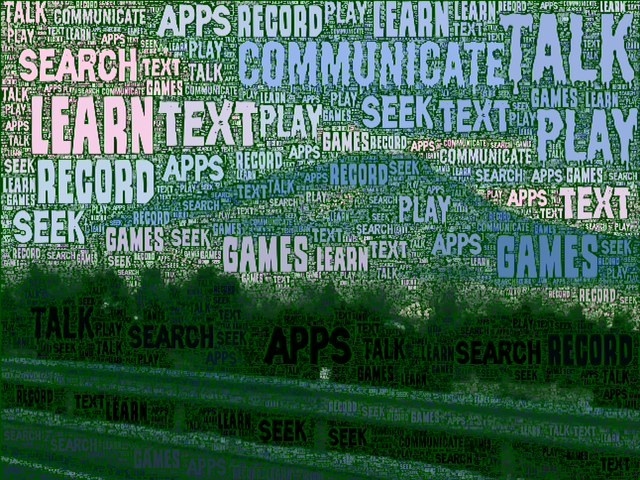 This cell phone vocabulary image created with one of my pictures and the app Wordfoto. Note: Please check out my Digital Contracts and Agreements Page if you want to learn more about this topic. This piece is cleverly written, focusing on cell phone issues that worry many parents of pre-adolescent and adolescent children. Hoffman’s contract addresses, in non-lecture style, the concerns that arise especially as parents watch their children using digital devices. Last fall, my post, So You Want a Family Digital Device Contract or Agreement, included links to a broad range of web resources that can help parents set up contracts or agreements with their digital kids.